Basler has acquired 100 per cent of the shares of Silicon Software with immediate effect. The transaction sees Basler gain Silicon Software’s image acquisition cards and software technology, including Silicon Software’s Visual Applets FPGA programming environment. 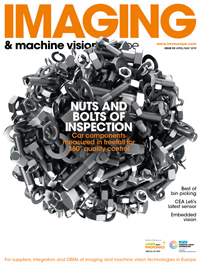 Basler said in a statement that next-generation image sensors and their associated higher data rates mean that easy-to-use, high-performance image acquisition cards will become increasingly important in the future. Silicon Software's two managing directors, Dr Klaus-Henning Noffz and Dr Ralf Lay, will continue to work for Basler. Silicon Software, which celebrated its 20th anniversary in September 2017, is a leading European machine vision company. It hosted the latest International Vision Standards Meeting in Frankfurt, Germany in May, and Klaus-Henning Noffz is a member of the VDMA Machine Vision board. With headquarters in Mannheim, Germany, Silicon Software has more than 50 employees with sales in 2017 totalling around €8.6 million. ‘Silicon Software's product portfolio complements our product portfolio and will significantly contribute to successfully implement our planned expansion strategy towards the performance segment of the computer vision market,’ commented Dr Dietmar Ley, CEO of Basler. Basler is celebrating its 30th anniversary this year. In 2017, it shipped 450,000 camera units and reported sales of €150.2 million. In 2017, the company increased sales by 54 per cent over the previous year; the Asia business generated the largest sales growth of 60 per cent, with China and South Korea contributing most of these sales. Basler has now signed a joint venture agreement with its distributor, Beijing Sanbao Xingye Image Tech, which has been Basler‘s distribution partner in China for close to 20 years.